Scientists are one step closer to developing anti-addiction medications with new research that provides a better understanding of the properties of the kappa opioid receptor (KOR), the only member of the opioid receptor family whose activation counteracts the rewarding effects of addictive drugs. Because the KOR is not associated with the development of physical dependence or the abuse potential of opiate drugs such as heroin and morphine, medications that act at the KOR could have broad therapeutic potential. The leading therapeutic compound is JDTic; its specific binding to the KOR has been shown to reduce relapse to cocaine seeking in animal models. JDTic is in clinical trials to assess its safety and tolerability in humans. 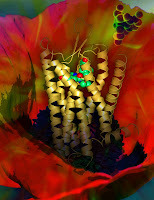 Now, researchers based at the Scripps Research Institute in La Jolla, Calif., have produced a high-resolution three-dimensional image of JDTic bound to the human KOR. The emerging picture reveals critical new information that helps explain why JDTic binds so tightly and specifically to this particular opioid receptor. Their findings were published online March 21 in Nature. “Drug abuse and addiction remain devastating public health challenges in the United States,” “This research could aid in the development of effective medications for the treatment of drug addiction, particularly to stimulants like cocaine," said NIDA Director Nora Volkow, M.D. To read about another medication that shows promise for treating opioid addiction, see Psychiatric News here.